WSU senior Nam Nguyen has studied on all seven continents, and he wants to protect the world’s future. On a warm spring day, Nam Nguyen landed in Mexico City, the home stretch of a journey that began three years ago with an ambitious goal: study abroad on all seven continents. Since his first summer study-abroad experience in Dublin, Ireland, Nguyen has completed 11 study-abroad programs with travels to Rome, Italy; Berlin, Germany; London, England; Rio de Janeiro, Brazil; Melbourne, Australia; Seoul, South Korea; Ushuaia, Argentina; Legon, Ghana; Mexico City, Mexico; and even Antarctica. 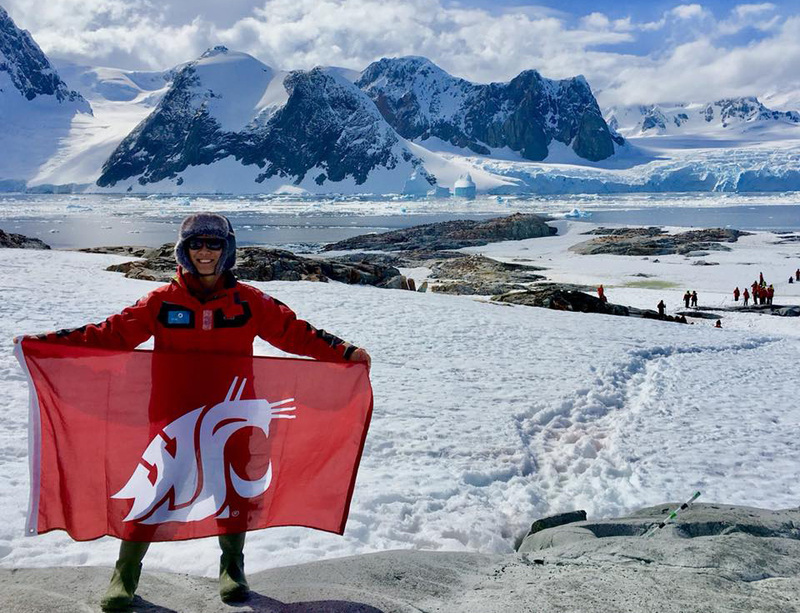 Nguyen is the first student in the 129-year history of Washington State University to study abroad on every one of the seven continents. “They aren’t only my travels, but they are also my family’s dreams,” says Nguyen, now a senior at WSU. As a 6-year-old, Nguyen imagined traveling beyond the small rural town in southern Vietnam where he grew up. He explored the world through the screen of his family’s 14-inch television, learning about penguins in Antarctica, cultures in South America, the Vatican and Buckingham Palace. 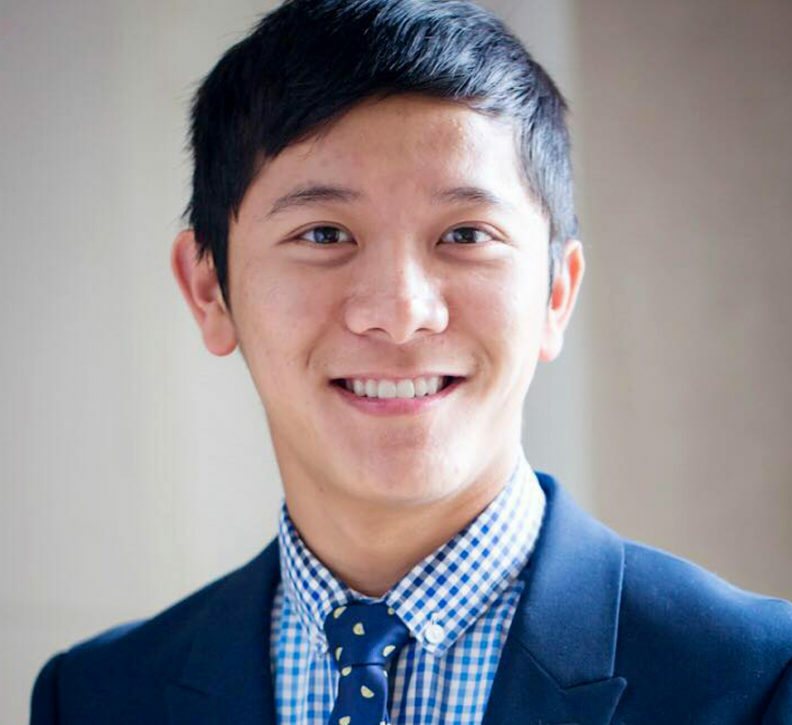 Nguyen chose to attend WSU in Pullman and, when he arrived, began applying for dozens of scholarships and looking into study‑abroad programs. He’s grateful to have received not only a State Need Grant but also more than $130,000 in scholarships, from corporations and organizations such as the Council on International Educational Exchange, FedEx, Southwest Airlines and Wells Fargo, to support his education. As Nguyen looks back on his travels, he recalls the sound of the “mind the gap between the train and the platform” announcement on the Tube, the underground train he took to get to school every day in London. He remembers the ring of the bell from Vatican City and the music people played during Carnival in Brazil. He enjoyed the delicious tastes of traditionally fried plantains in Ghana, the guarana drink in Rio de Janeiro and the kimchi soup in Seoul. “Those were unforgettable,” he says. There were breathtaking views from the Lotte Tower in Seoul, the fifth tallest building in the world. He visited the Berlin Wall while learning German history. Finally, a trip through the rough Drake Passage of Antarctica to penguin territory. Through his travel experience, Nguyen says he has gained more insight into the different ways people approach problem-solving around the world. He’s been able to learn more about his own identity and ancestry through the lenses of other worldviews, and he has an even greater appreciation for other cultures and beliefs. As a student researcher in the McNair Scholars Program, he also studies education abroad. His research project explores why some study-abroad destinations are more common and popular than others, as well as what factors influence a student’s choice. It’s a project that will help illuminate the experiences of undergraduate students and provide good information for counselors and those who design study-abroad programs. His research project has been mentored by Chad Gotch, an assistant professor in the College of Education, along with Christine Oakley, director of WSU Global Learning. Nguyen has presented his research at the Hawaii International Conference on Education in Honolulu; the Higher Education Summit at Google Headquarters and the International Trade Center in Washington, D.C.; and the National Collegiate Research Conference at Harvard University. His research has been accepted for a presentation at Stanford University this upcoming April. In May, he’ll also head to Oldenburg, Germany, to present his research at the World Congress on Undergraduate Research. When he’s not traveling, Nguyen serves as a peer mentor and helps new international students acclimate to WSU Pullman and the United States. As a Global Learning Peer Advisor, he gives the Global Cougs 101 study-abroad info session and provides peer advising to other students interested in education abroad. He’s also an advocate for all students and is assisting with the creation of WSU’s first LGBTQ+-focused study-abroad program. Nguyen has managed the “Engage the World” program, which invites presenters to share their international experience and cultural knowledge with WSU classes and local community groups like schools and senior centers. While he’s already met his goal to study abroad on every continent, Nguyen hopes to make travel a focus in his life. He also enjoys drawing, photography and poetry to share his adventures. On a recent trip to Vietnam, he gave a talk at TEDxHanoi 2019, where he told the stories of his travels as a Coug and how he’s grown from the experience. Compassionate and driven, Nguyen plans to graduate in May with a dual degree in international business and marketing. He hopes to start a consulting business that will help big tech businesses make decisions about eco-friendly technology practices. It’s a career that will help mitigate the negative impacts of climate change and pollution, preserving and protecting the planet he loves to explore.